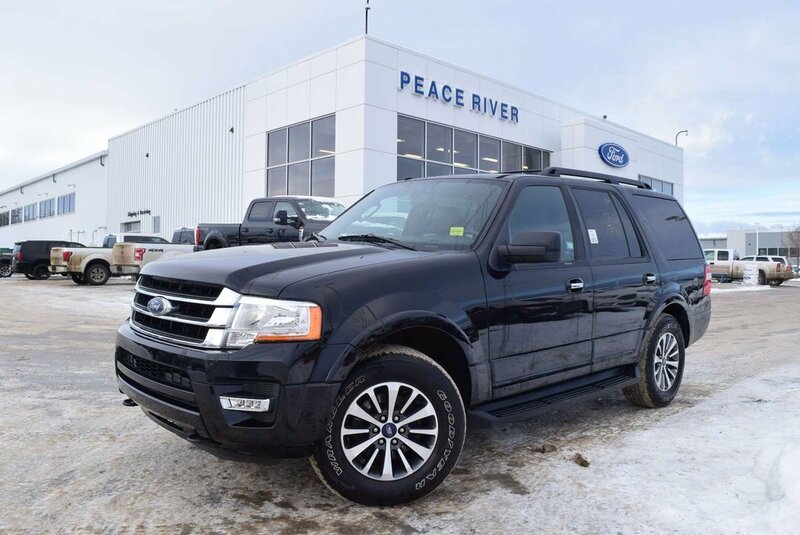 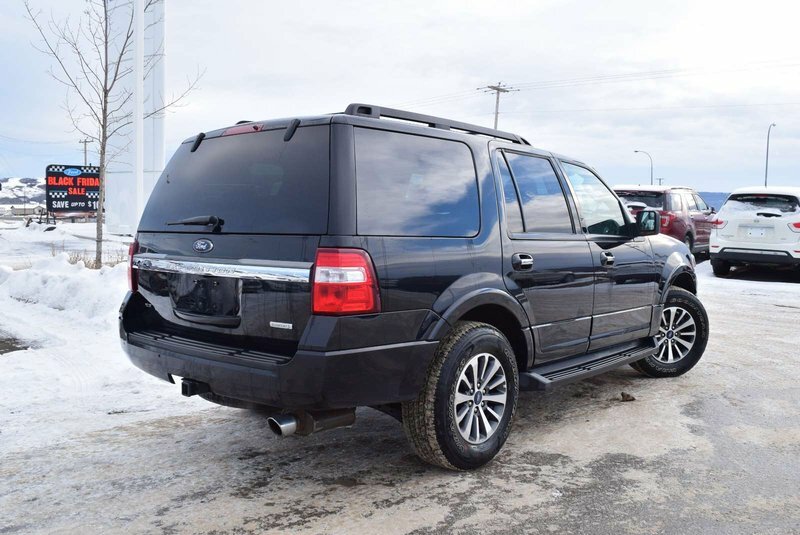 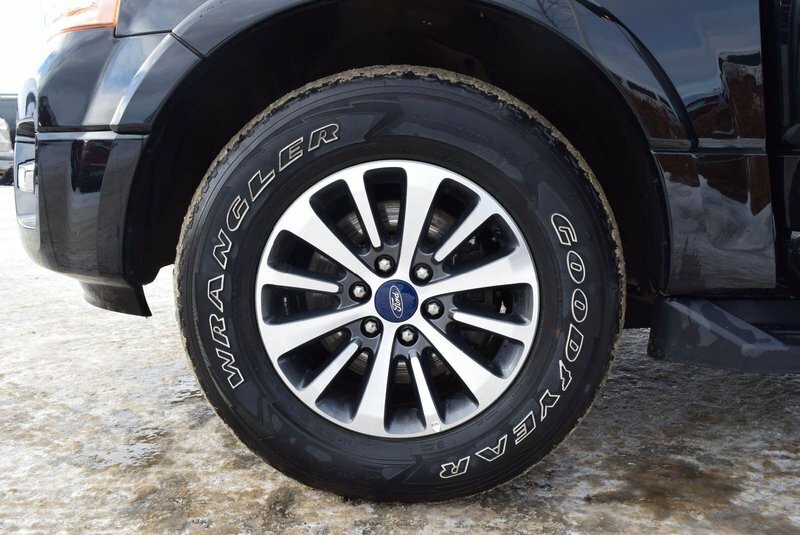 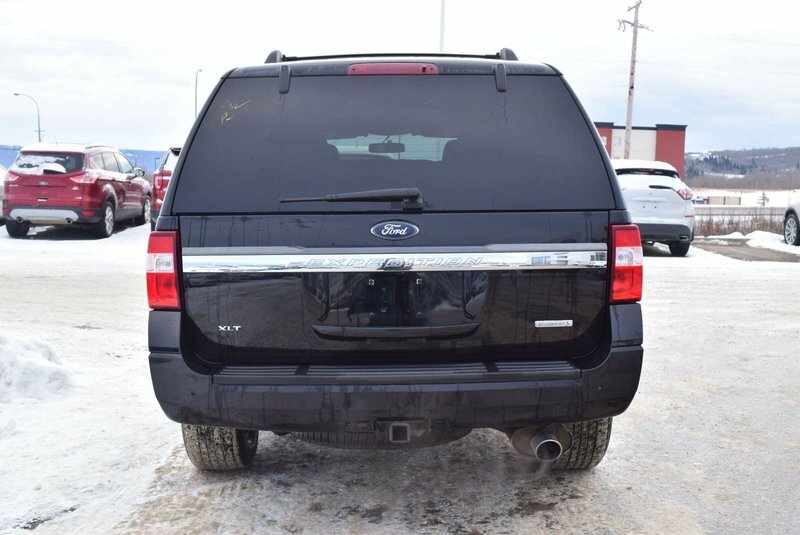 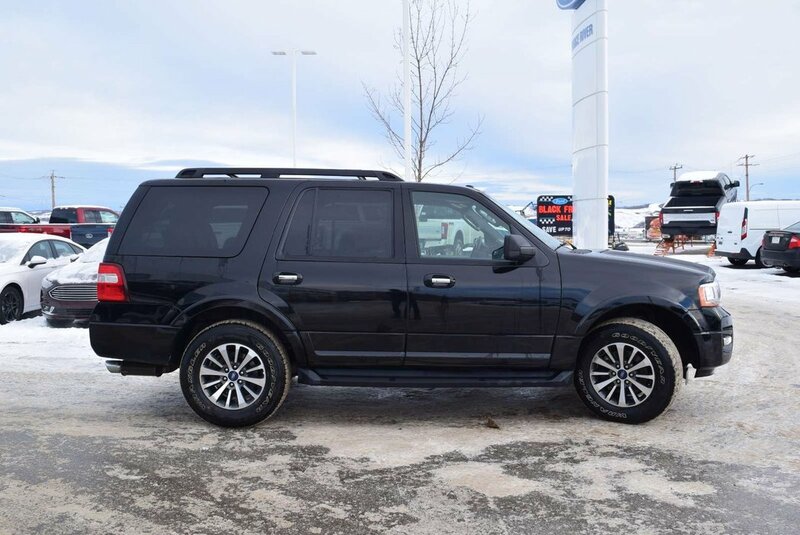 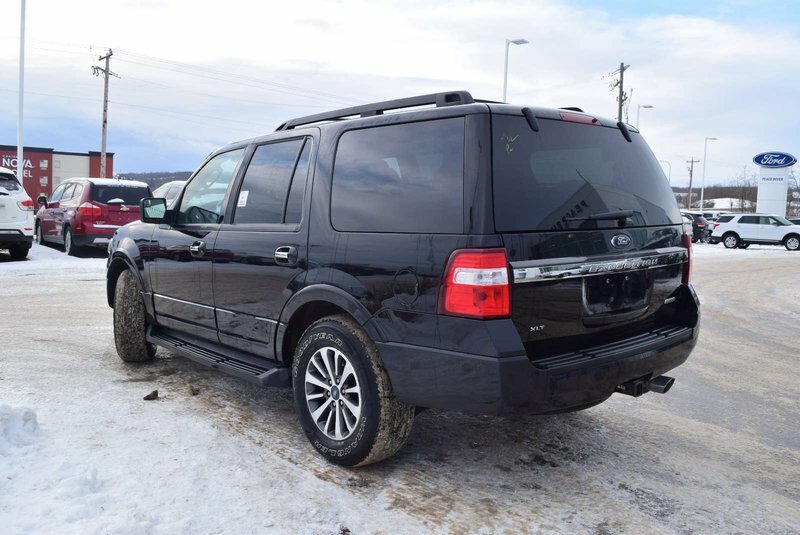 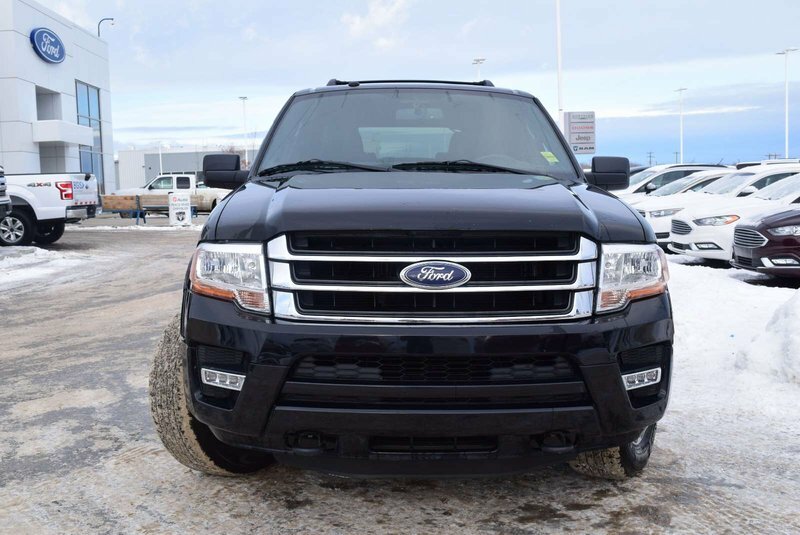 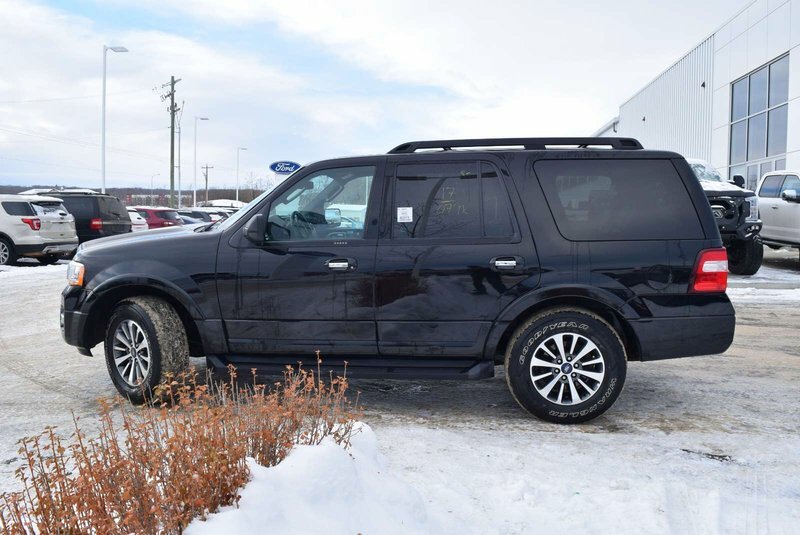 Step up to our 2017 Ford Expedition XLT 4WD that's majestic in Shadow Black! 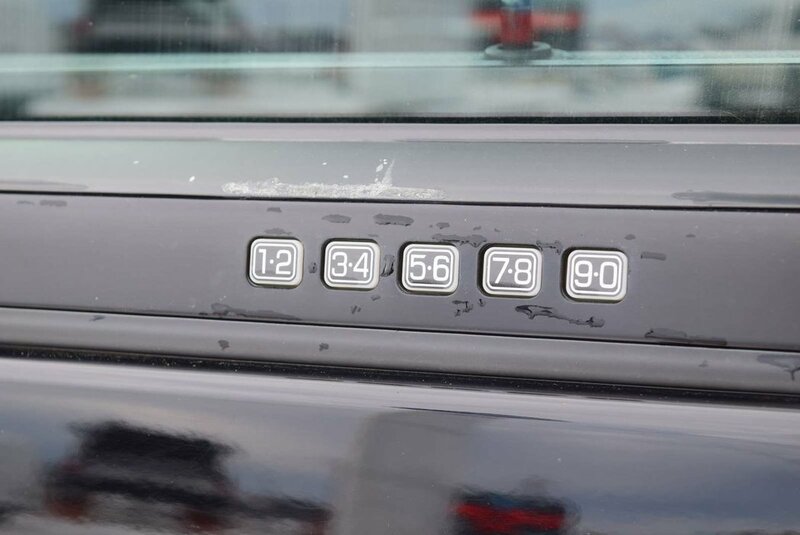 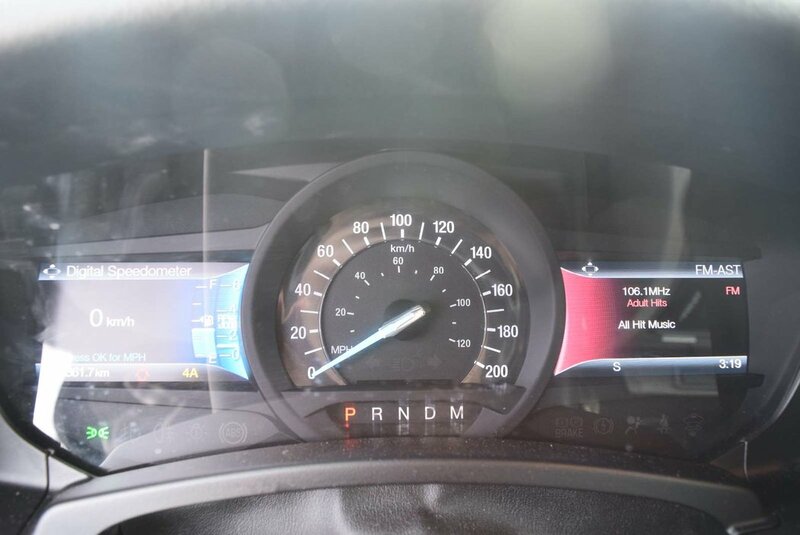 Powered by a Twin TurboCharged 3.5 Litre EcoBoost V6 that delivers a robust 365hp while paired with a 6 Speed SelectShift Automatic transmission that's been designed for performance and efficiency with a selectable tow/haul mode. 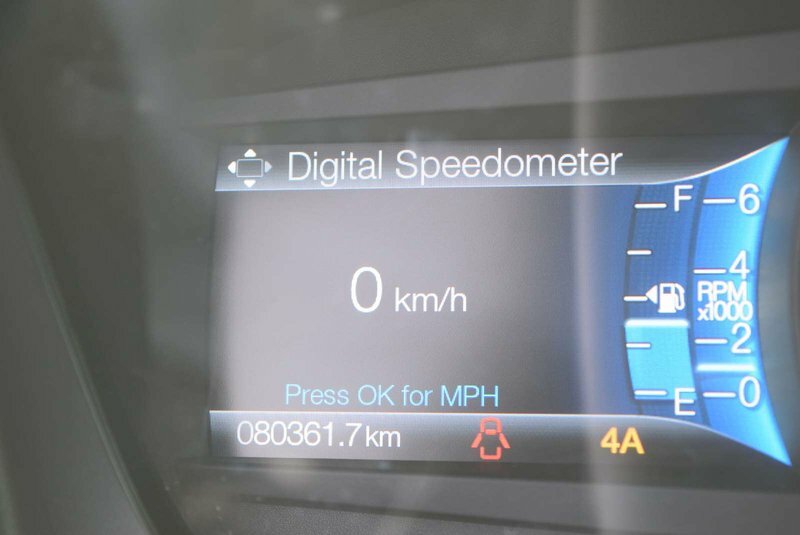 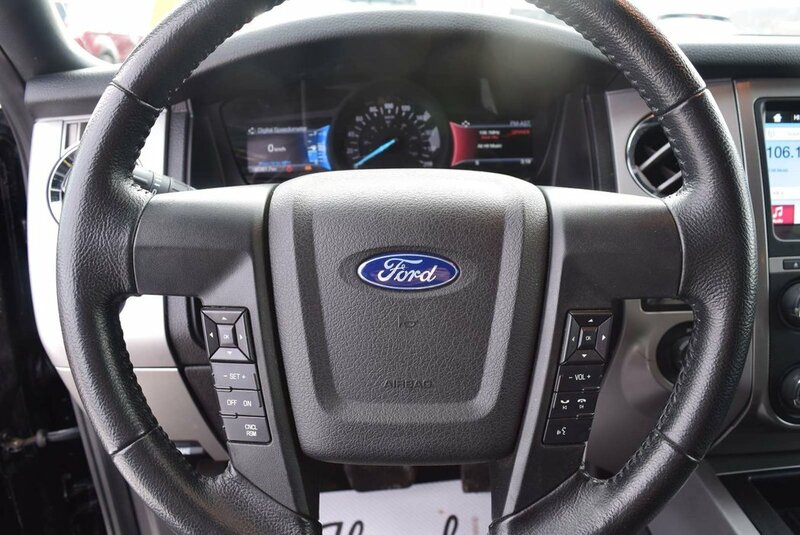 Our Four Wheel Drive help offer a capable, confident ride while scoring near 11.2 L/100km on the highway. 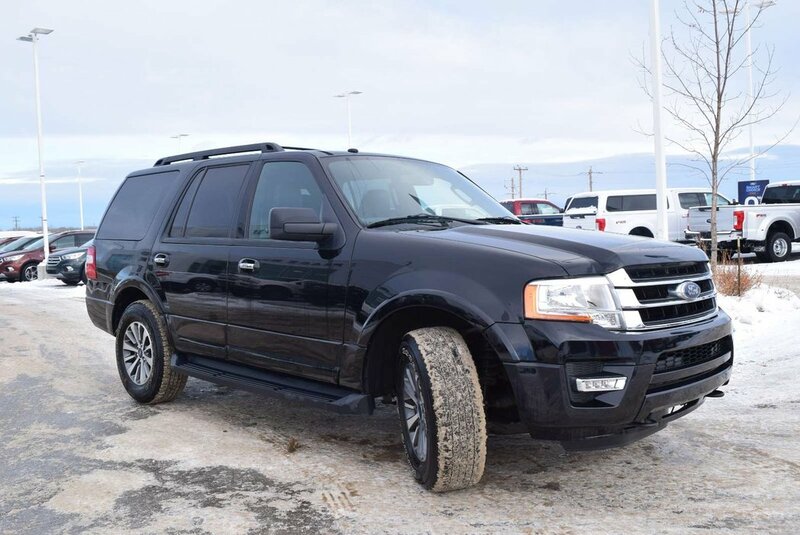 Review our photos of this XLT and admire the commanding stance that was built to take its place on the road with prominent wheels, a bright chrome grille, running boards and a roof rack. 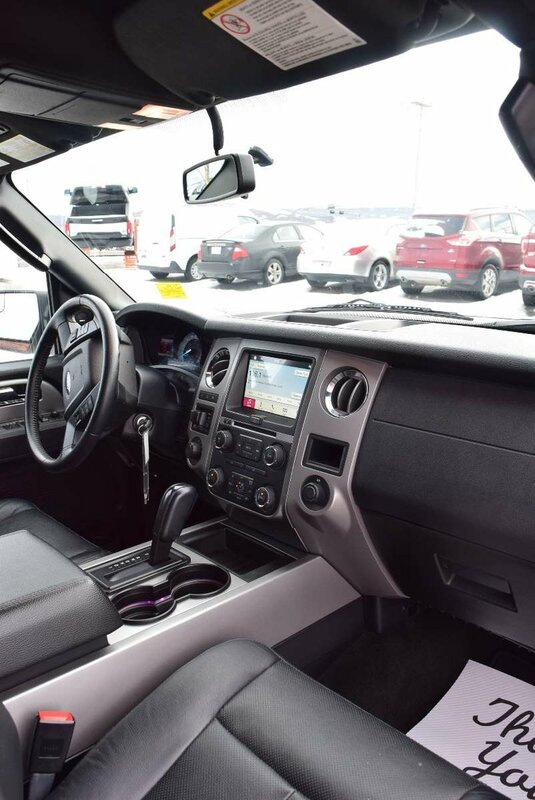 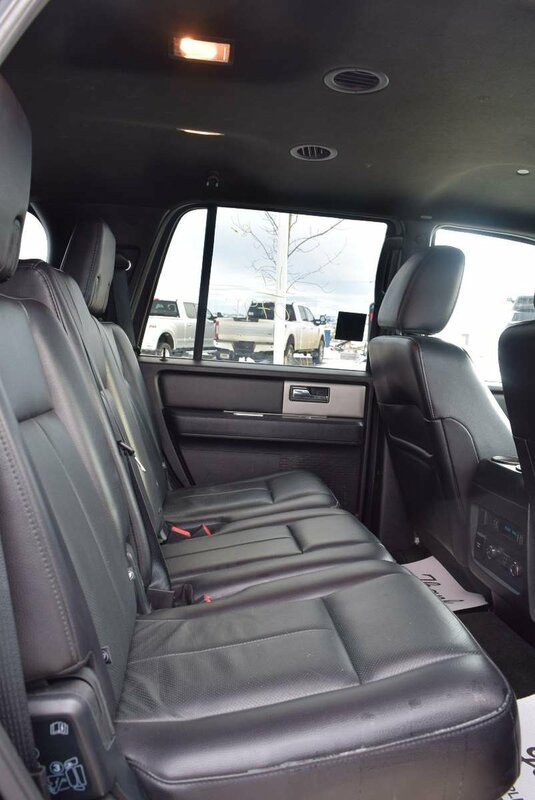 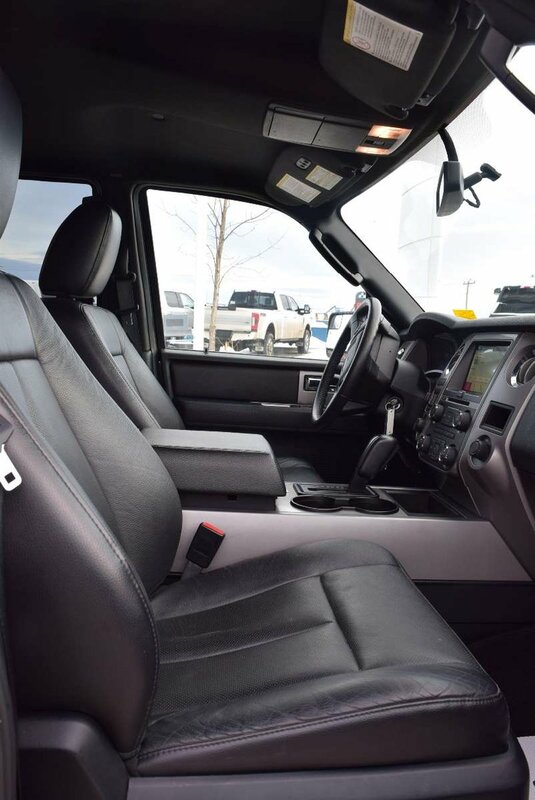 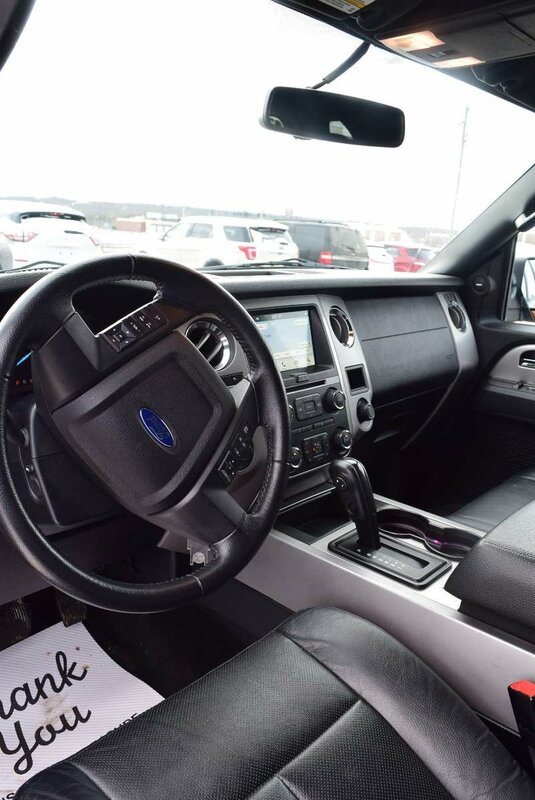 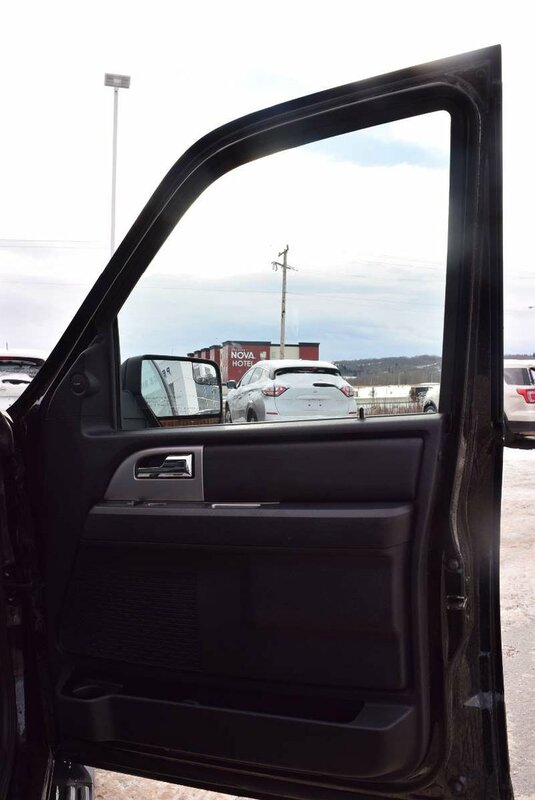 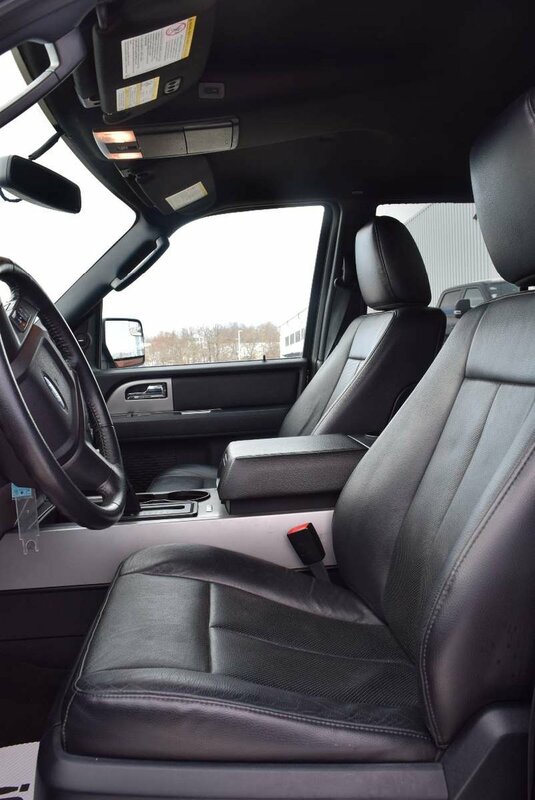 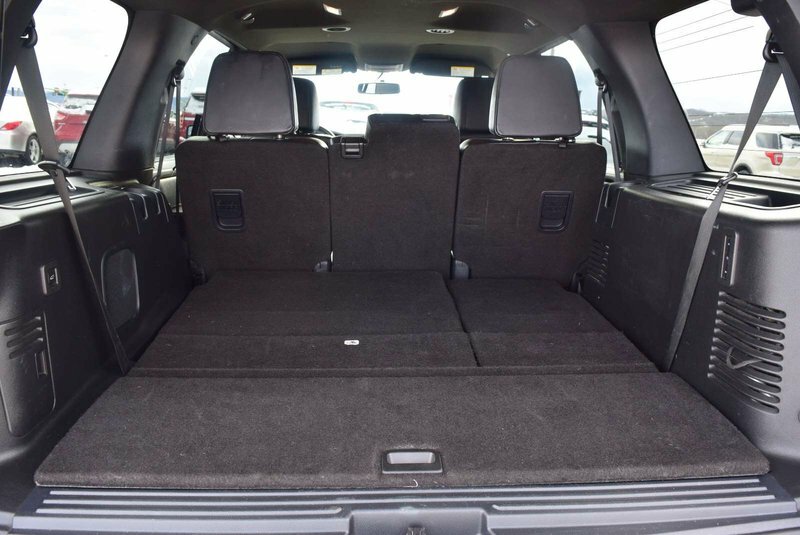 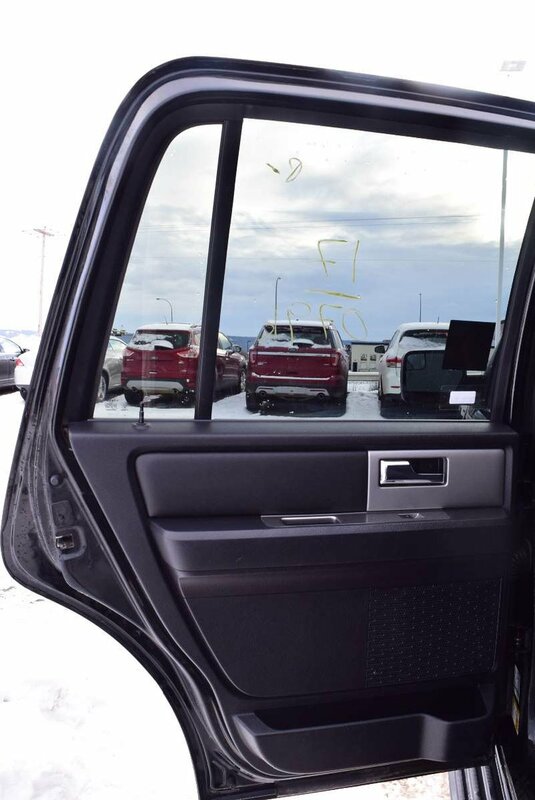 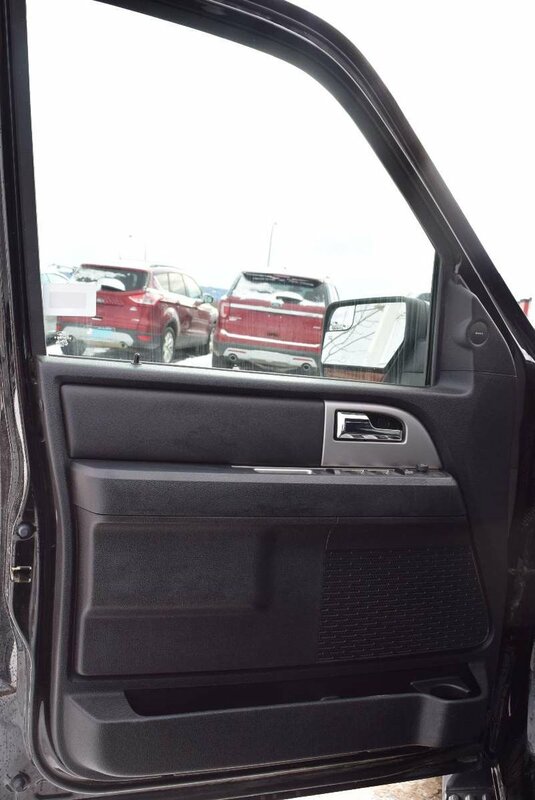 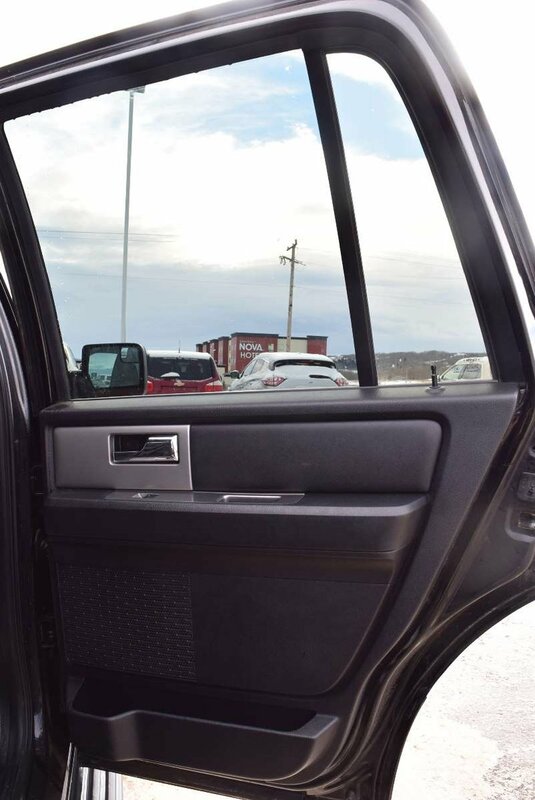 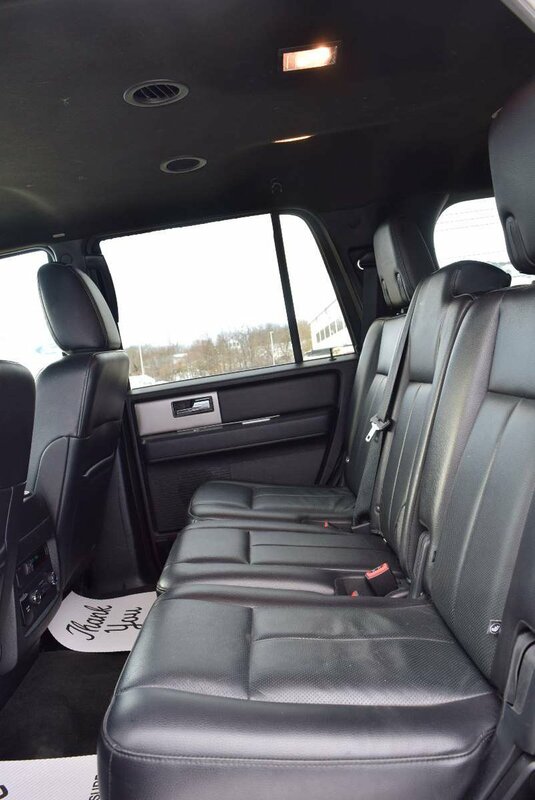 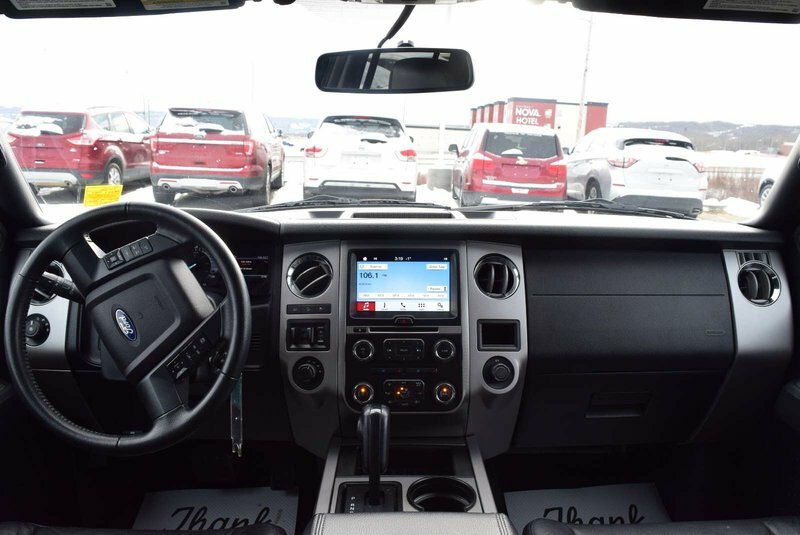 Once inside our XLT, you'll see plenty of room for storage, leather heated seats, ample lighting, and power options for all of your devices. 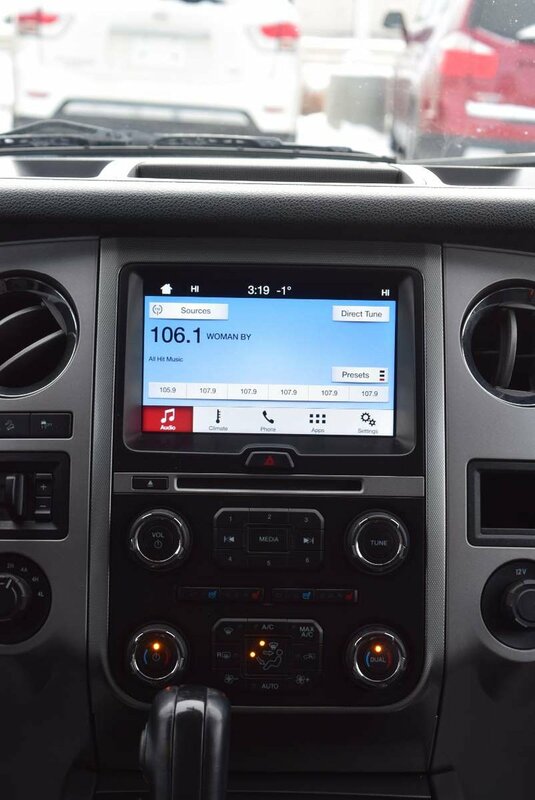 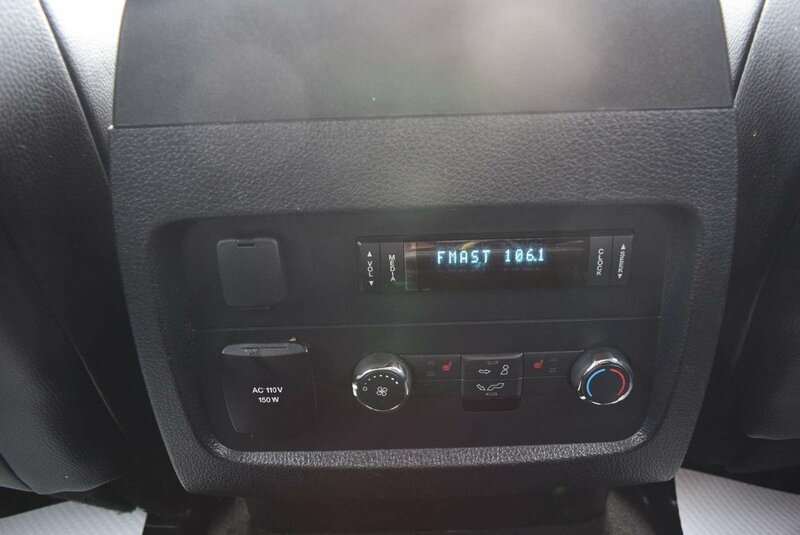 Stay connected thanks to Sync voice-activated communications and entertainment system with a center display, AppLink, USB port, and available satellite radio. 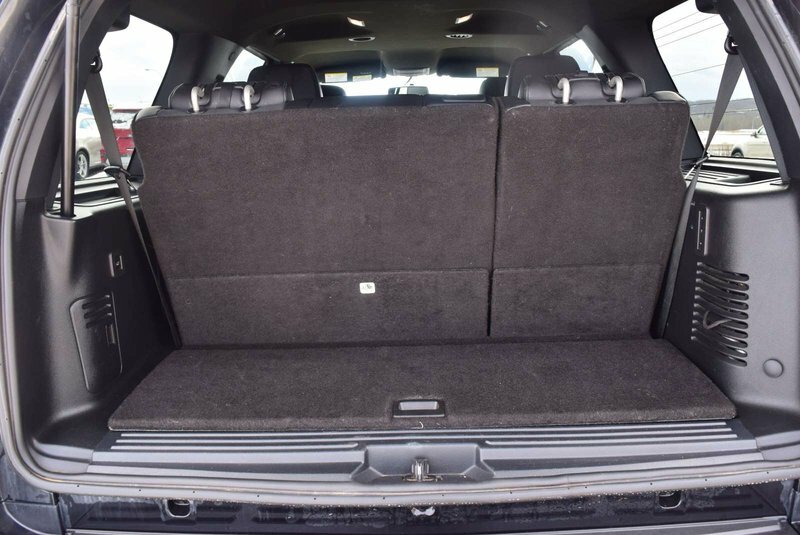 You'll appreciate the outstanding versatility of a split second-row seat and a fold-flat third-row seat for exceptional cargo-carrying capability when you need it.